The biggest soccer story of the summer was not Germany's win at the Confederations Cup in Russia. And it was not the United States' Gold Cup win over Jamaica either. Instead, it was the constant discussion about whether Brazilian star Neymar would leave his current team, Barcelona, and move to Paris Saint-Germain. Barcelona recently played in the United States, and it was all people wanted to know about. But that discussion has come to an end. Barcelona announced on Wednesday that Neymar said goodbye to his teammates and told the team he was leaving. The only delay? Paris Saint-Germain will need to pay Barcelona over 200 million euros to purchase Neymar's contract. Until then, Neymar is still a member of Barcelona. However, he will not practice with the team. In July, many sports publications wrote about the possibility of Neymar leaving Barcelona. They said he did not like being the team's second-best player behind Argentine star Lionel Messi. But just last week, Spanish player Gerard Pique of Barcelona posted a photo of Neymar on Instagram. Under the photo, he wrote, "he stays." Pique said he did not have any special information about his teammate, however. It was just his own feeling about the situation. The question about whether Neymar would stay or go grew more intense in the last week, as Barcelona finished its tour of the U.S. and returned to Europe. Neymar did not travel with the team. Instead, he went to Asia to make appearances for his sponsors. He returned to Spain on Tuesday night, and told the team of his decision on Wednesday. Now, the soccer world must wait for Barcelona's bank account to grow by over 200 million euros. When that happens, Neymar will be on his way to Paris. On Wednesday, Messi used Instagram to post a goodbye video message to Neymar. 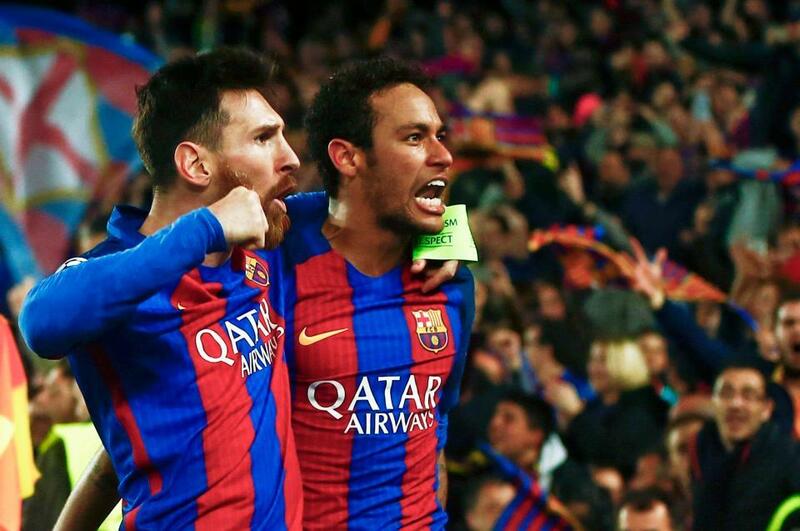 The two have been Barcelona teammates since 2013. More than 5 million people watched the video in the first three hours. He has won over a significant number of the left-wing deputies. He has made several withdrawals from his bank account. It was not until then that I knew we had been deceived. 1.But that discussion has come to an end. It has not come to an end even after three years. All good things must come to an end, however beautiful an experience is. 2.Barcelona announced on Wednesday that Neymar said goodbye to his teammates and told the team he was leaving. I packed and said goodbye to Charlie. She said goodbye to Hilda with a convincing show of affection.